Amigurumi guinea pig free pattern: This is a Crochet amigurumi animal pattern, very easy crochet project for beginners. 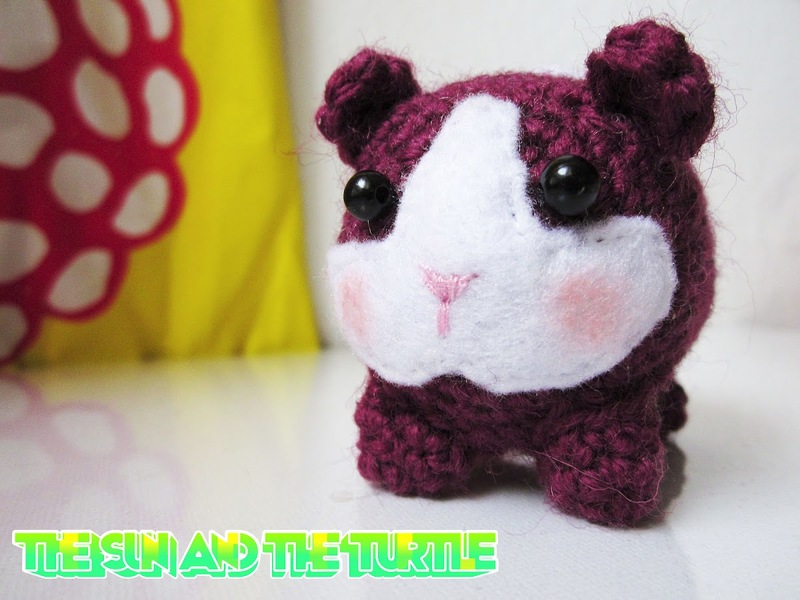 You will learn how to make an amigurumi with a simple structure. This can be a fast crochet project for a handmade gift. You can use this guinea pig as a keychain, nursery decoration, christmas tree ornament, etc. For this pattern I am using a 4 mm clover hook but you can use a smaller or bigger and in any brand of your preference. The bigger the hook the less tight the stitches and the bigger your amigurumi. If you use the hook I am recommending in this pattern and tour fabric still looks loose (you can see the stuffing) you should use a smaller hook. - Inv. Dec: Invisible decrease. 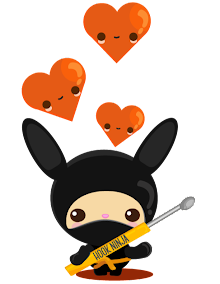 Round 21- [Inv. Dec.]around Fasten off weave the ends. Fasten off leaving a tail to sew to the body. Remember to add some filling material to the legs. but other white cloth can work as well. Draw the shape of the face onto the felt and cut. Sew or glue (wood glue) the felt piece on place. Same goes for the spot on the back. 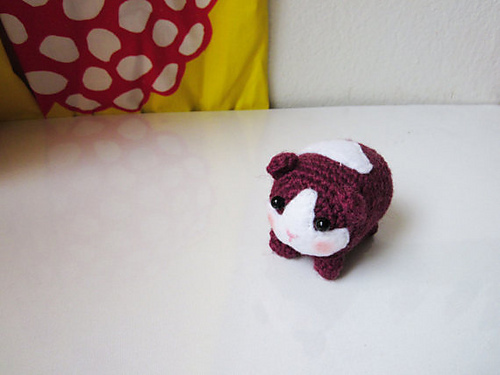 Embroider a cute pink nose and the line of the mouth. 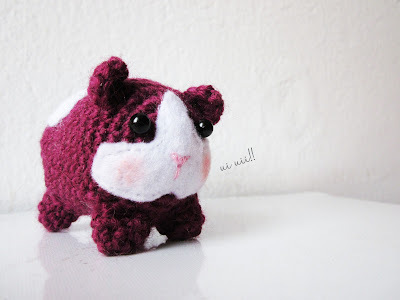 Add some make up to the cheeks so your guinea pig can look happy and cute.